The Blood Tribe First Nation is asserting in Federal Court that its reserve should have spread into Cardston and Waterton Lakes National Park. If the First Nation wins the fight, it could be in line for compensation of losses dating back to western Canada's earliest days. A vast region of boreal forest straddling the Manitoba and Ontario border has been named the first mixed cultural and natural UNESCO World Heritage site in Canada, a tribute to the area’s exceptional biological diversity as well as to the enduring presence of Indigenous people there. Pimachiowin Aki, which means “the Land That Gives Life” in Anishinaabemowin, covers 29,040 square kilometres (almost the size of Vancouver Island) of mostly untouched wilderness and is home to one of the largest herds of caribou south of Hudson Bay, as well as many other species of mammals, birds, insects and fish. 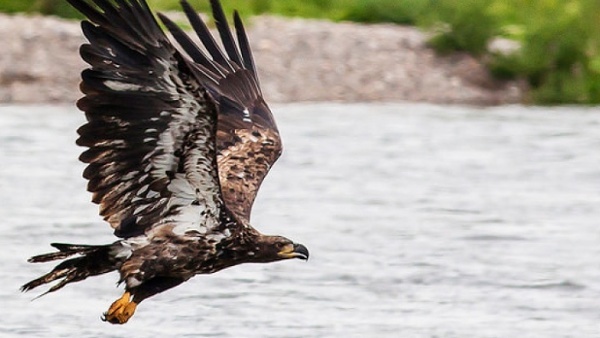 Canada needs to get its act together and pony up big bucks for wildland conservation if it’s going to reach its international commitments, says a federally commissioned report. The report also sees a strong role for First Nation and Inuit co-management of national parks and conservation areas as many of the areas that would be protected include traditional or treaty lands. Indigenous Guardians programs, already in place in national parks such as Gwaii Haanas in British Columbia, will be expanded. The Report of the National Advisory Panel is available on the Conservation 2020 website in the "resources" section. It's called the Nahanni River of Forgiveness project and, according to Dehcho elders, it marks the first time in more than 100 years that a mooseskin boat has been paddled down the river. The 40-foot boat was crafted from young spruce, willow sticks, moosehide and sinew, all by hand, by Indigenous elders, leaders and youth at a camp in Nahanni National Park called Bunny Bar. NOVA Gas Transmission Limited (NGTL), a wholly owned subsidiary of Trans Canada, has filed a project description for the 2021 NGTL System Expansion Project. The Canadian Environmental Assessment Agency, and the National Energy Board, are reviewing the project description prior to formally commencing an environmental assessment and a regulatory hearing. We recently profiled this project in an article titled "Nine Reasons Indigenous Guardians Always Get In On Regulatory Projects". 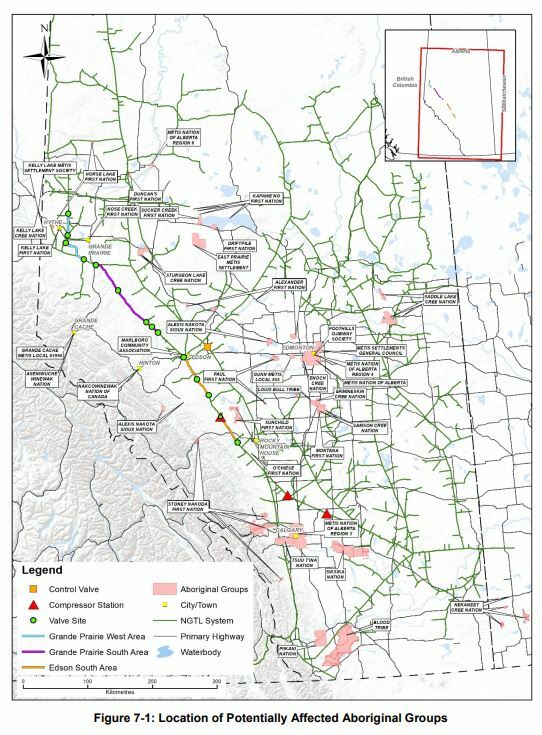 The project would see approximately 350 kilometres of new 48 inch pipeline in in northwestern Alberta, plus three large 30 to 40 megawatt compressor stations in west-central Alberta. The project objective is to transport gas from areas of increasing natural gas production in the Peace River Project Area (PRPA) to intra-Alberta and export markets. The "Preliminary List of Potentially Affected Aboriginal Groups" includes First Nations from Treaty 4, Treaty 6, Treaty 7, and Treaty 8, five non-treaty First Nations, and ten Métis Organizations, Settlements, and Locals (see map below). Participant funding is available to facilitate the participation in this public hearing - find out more about participating in a regulatory process like this, and contact us for more information.